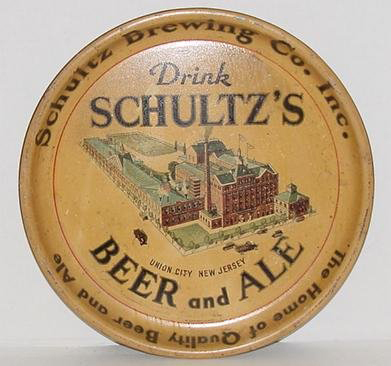 Serving Tray for Schultz’s Beer & Ale from The Schultz Brewing Company out of Union City, New Jersey. The center shows a highly detailed depiction of the brewery itself. The text along the bottom states The Home of Quality Beer and Ale.